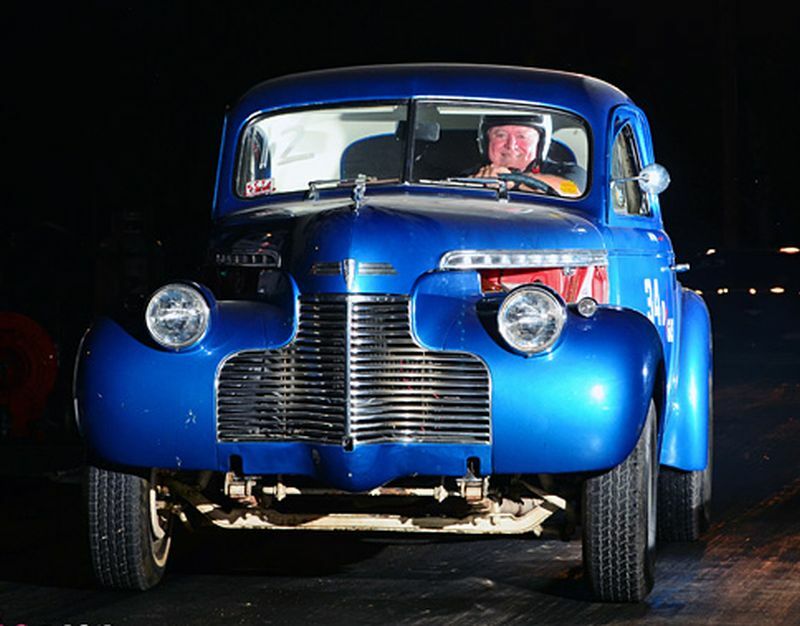 1940 Chevrolet D-Gasser – Stromberg equipped! 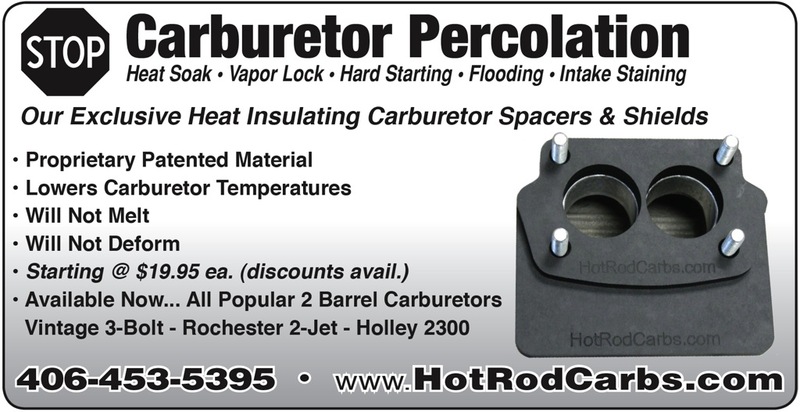 We got the May 2013 issue of Hot Rod NZ magazine today. To be honest, it’s one of our favourite magazines and for many reasons. First, the NZ scene seems so full of life – new imports coming in all the time, plenty of events, you know what we mean. And second, the magazine puts the reader first instead of the advertiser (the US mags have a lot to learn in this respect) and covers that scene in such depth with real support for the hobby – both home and abroad. Here’s a perfect example. We’ve been following the coverage of John Mumford’s AMBR winning ‘Kelly Brown’ 1927 T roadster ever since the award back in January. 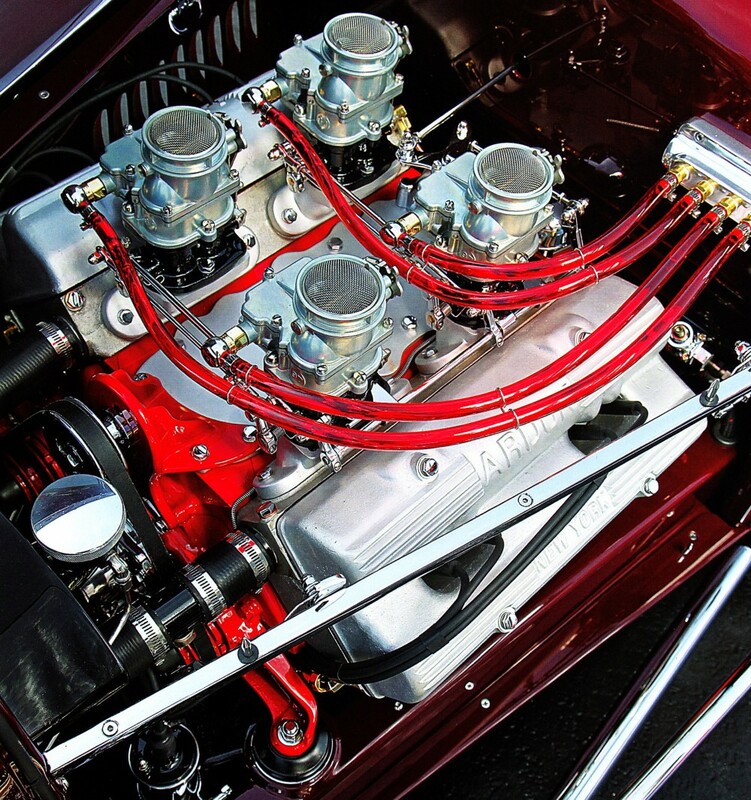 But HRNZ has some of the best pictures we’ve ever seen of its Ardun-equipped V8-60 engine. We’re particularly stoked because we always suspected it was Stromberg equipped, but I’d never seen a good enough (close enough) picture to confirm that they were new 97s. Until now. So thanks hugely to HRNZ, Greg Stokes and photographer Alain Sauquet. And thanks to John Mumford and Roy Brizio and his crew for recognising that so many Stromberg linkage and fuel delivery parts are worthy of America’s Most Beautiful Roadster! Summer’s here. Definitely time for some cool and hugely affordable new collectibles. Three vintage-styled tin signs and a new shop clock, taking the current Stromberg-equipped concept into four smart new formats with price points for every enthusiast. Here’s the run-down. 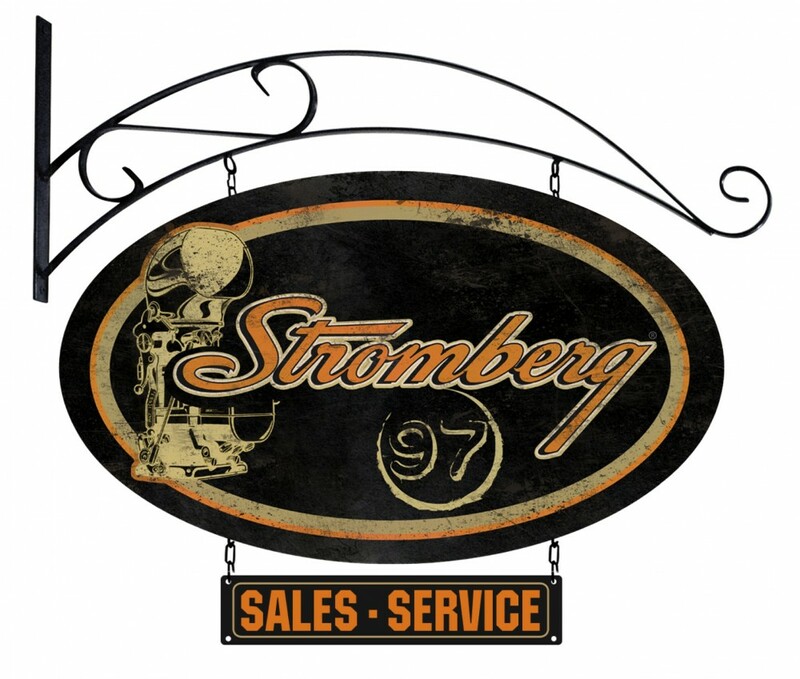 We start with a fabulous 18×14 inch Stromberg 97-shaped die-cut, sign. Then we have the 12×12 inch ‘diagonal’ style. And moving upmarket, how about this awesome, double-sided hanging oval – 24 inches wide – complete with wall mounting bracket, chains and separate ‘Sales & Service’ hanger underneath. The new 14 inch shop clock follows the same theme, combining the Stromberg-equipped message with a black ink rendering of the iconic 97 carburetor by our buddy and top automotive artist, Thom Taylor. 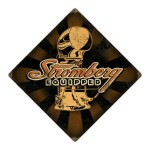 All Stromberg signs are proudly made in the USA, using heavy gauge American steel. The patinated, vintage style artwork is printed in period colors with a smart dye-sublimation process, baking the image into the powder coating for a durable and long lasting finish. 2410. Tin Sign – Black Die-cut 97 – just $32.00 ! 2411. Tin Sign – Black Hanging Oval – double sided – just $115.00 ! 2413. Tin Sign – Black Diagonal – just $26.00 ! 2810. 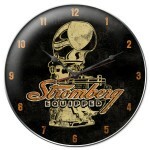 Clock – Black Stromberg-equipped – just $48.00 ! The full Stromberg Clothing & Collectibles range is available now at the Stromberg website – www.stromberg-97.com Advert over. How about some pictures.